Psychological safety has been claimed to impact greatly the productivity and well being of teams. Building trust is how we reach psychological safety, but trust is a touchy topic for teams. Scrum Masters try to build trust between team members, with stakeholders, with other teams, with the Product Owner. Trust maybe one of the critical ingredients that allows collaboration to emerge. But how do we build trust? How do we learn what works, and what doesn’t when building trust? Tim Ottinger shares his learning in this BONUS episode on trust, with a very practical approach, just like we like it here on the podcast. Before we can start to work on building trust, we need to distinguish between what Lencioni calls “Vulnerability Based Trust”, explained in The 5 Dysfunctions of a Team, and what Tim is referring to. Tim wants us to focus on trust as it happens in practice, every day, not only in moments of deep connection (which is needed for vulnerability based trust to emerge). Tim talks about Autonomy, the team’s autonomy, as being the trust barometer. He explains how we can measure the trust level in a very practical way by looking at the signs, and hints around the level of autonomy that the team is given. Vulnerability based trust requires we already trust the people around us to some extent. As Tim says: “it’s about exposing your jugular to your teammates. That’s not where we start. When we start working with a team, we don’t yet know what is the “safe” level of trust. So Tim suggests a different approach to building trust. Start by discussing what is the acceptable “discretionary space” (time on your own, or time the team can decide what to do without reporting and getting feedback) at this point? Be deliberate about establishing the expectations with stakeholders, start with a smaller discretionary space and grow/increase as you go. You build trust slowly. The stakeholders give the team (or the team gives a team member) some “discretionary space”, and then get to see what is delivered, and give feedback. This is the core of the trust transaction that Tim describes in much more applicable detail in this episode. As Scrum Masters, our goal is to help teams succeed, and our businesses survive. For that we need to learn to bring trust into the system in a practical way. At the end of this episode we discuss how we – Scrum Masters – can bring trust to the teams and organizations we work with. Tim has over 37 years in the software business where he has been an employee, a manager, a consultant, and a mentor to many people in several dozen large and small organizations. Through Industrial Logic, he continues this work promoting Modern Agile‘s guiding principles. 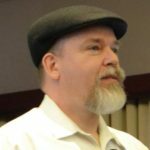 Tim is known for his technical consulting and agile thought leadership from ‘way back, but lately also for his work in leading knowledge workers, establishing psychological safety, and for his journey away from recreational anger. You can link with Tim Ottinger on LinkedIn and connect with Tim Ottinger on Twitter.